Dasyn applied the Tokyo Business Frontier, which is a part of the New Value Creation Exhibition and is produced by the Tokyo Metropolitan Small and Medium Enterprise Support Center. Twenty companies and business units, including Dasyn.com, were selected for this event. 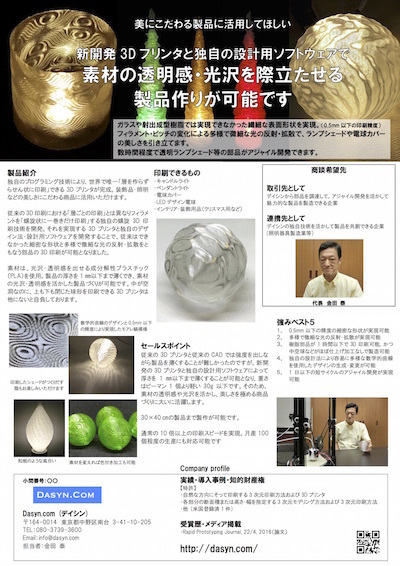 Dasyn.com will exhibit brilliant and light objects printed by the original helical 3D printing method, and show the printing process by a 3D printer.